The Los Angeles Animal Shelters need your help! YOU can make that life-saving difference by fostering for four days or more or adopting in advance of July 4th. Unfortunately many pet owners leave their pets outside on July4th and the loud sounds of the fireworks terrify the animals who run in fear. Many can't find their way home and end up at the municipal shelters. Over the last three years, the Los Angeles shelters took in over 1,000 animals each year between July 2 and July 6. These pets are counting on us to help reunite them with their families, but often this takes time and that is where your help is needed. Thus, municipal shelters sadly become a death zone as many animals become euthanized since there is nowhere to put them! 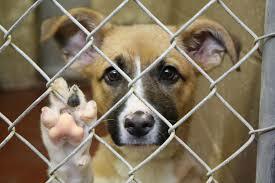 More animals are euthanized during the July 4th holiday period than any other time of the year. What's worse, is summer overall is the worst time at the shelters as people often go on vacation and decide to relinquish their pet to avoid having to pay for boarding......again, causing the shelters to have a huge influx of animals. The LA shelter has wonderful dogs and cats of all ages, breeds and sizes waiting to be your temporary companion or best friend forever. When you offer to temporarily foster, you are saving two lives, the pet you are caring for and the pet who was given a space at the shelter. To volunteer to foster, print your application at LAAnimalServices.com/foster or go to the Los Angeles Animal Shelter nearest you and ask for a Foster Volunteer application. Take your completed form to the shelter nearest you. You can also view some of the wonderful dogs and cats that are available for the Foster Program on the LA Animal Services Facebook page: https://www.facebook.com/LAAnimalServices For more information, please call: (888) 452-7381. If you don't live in Los Angeles and would like to help homeless pets in your area, please look up the nearest location of an animal shelter near you. An animal's life is depending upon you!